Join MHANYS for Mental Health Matters Day on March 11, 2020! You can find the Legislative Gazette article to accompany this video here. Thank you to the over 450 students, teachers, chaperones, speakers, advocates, MHA affiliates, and colleagues that joined us for Mental Health Matters Day on March 13, 2019! 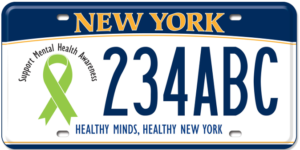 Mental Health Matters Day is a day-long legislative advocacy event sponsored by the Mental Health Association in New York State, Inc. and held each March at New York State’s capital in Albany. Attendees travel to Albany from across the state to be briefed on critical legislative initiatives impacting mental health policies and to meet with legislators. Everyone interested in helping to advocate for these changes is welcome to attend this free event and participate by sharing why mental health matters to them personally and to the people in their lives. The policy agenda for the day focuses on MHANYS’ most pressing legislative initiatives including the association’s response to the Governor’s proposed Executive Budget. You are invited to join us for this educational and inspirational day of advocacy where your voice, joined by hundreds of others, can be heard by New York’s elected officials.